It looks like every business wants to ‘engage’ with consumers these days, but as a consumer, I don’t think I want to engage with many companies. Sure, I like my breakfast cereal, but I ignore their plea ‘Like us on Facebook’ on the cereal box. I am very happy with my washing machine and microwave oven, but I would never tweet about how excited I am about those. This insightful article explains why - social media sharing is more about showcasing your refined tastes (skeptics might say driven by vanity and narcissism!) - like a BMW or a neighborhood Deli. However, I am baffled to see that even the ‘refined’ brands still fail to engage with their best customers. Of course, Facebook is a great platform to talk about any brands or products with your friends, but can the brands do more? Let me try an example. 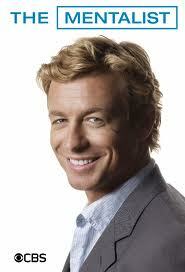 I have been a big fan of the CBS show ‘The Mentalist’ since its premiere in 2008. I have watched every single episode of the cerebral drama and have bought all the three seasons DVDs. I have even pre-ordered Season 4 on Amazon Prime to get it on the release date. Their Facebook page was one of the first business page I 'liked' 3 years ago. CBS does not spam much and only has occasional updates - mostly with some clips that ‘prime the pump’ prior to the broadcast. However, I feel CBS hardly 'engages' me with any personalized content. Clearly, their goal is to get fans to spread the word to others and I might do it occasionally, but personally, I am more interested in knowing the 'behind the scenes' stories with the Director & cast (similar to the Special Features on DVD) or discover shows - either by the cast (e.g., Guardian by Simon Baker - that I found after wading through Netflix) or similar (e.g., Numb3rs or 'Lie to Me'). Instead, all I see is a 'spray and pray' feed with irrelevant clips from episodes I have seen multiple times. Its latest update asks me to tweet hashtags that 'unlock exclusive photos of the new season of your favorite shows'! Why? CBS has truly no idea who I am, since they are disconnected by amazon, cable companies and retail stores. What if they had a CRM system with my profile and my purchase history matched against my Facebook identity? They'll then be able to segment the Facebook fans based on their demographics AND actual purchasing data and send me targeted posts with a much better chance of engaging me (using Facebook Lists, though it's far easier through Google+ Circles, but it's another discussion). You can argue people go to Facebook only to engage with their friends and have no interest in the brands or ads. This is different from Google, where people have a clear intent to buy. However, if you believe the value is shifting from transactions to engagement (as Ray Wang clearly articulates), Facebook has a huge potential to be an engagement platform and evolve into a 'social CRM', as I wrote earlier, despite the IPO fiasco. I suspect social media campaigns will continue to struggle to engage with real customers or drive follow-on sales, unless complemented by smart enterprise systems. Your company might be doing a great job of listening and responding to customer complaints on Facebook or Twitter (e.g., @comcastcares), but you are still fighting fires and stuck in damage control and unable to connect with your most profitable customers - who buy repeatedly! Alex,great post from the perspective of a consumer. All your points are spot on. The only comment I have to offer is that the traditional, orderly and sequential funnel you have included here, is becoming a relic of the past. Today's customer journey is a lot more dynamic and chaotic, and companies need to wake up to this reality. Thanks a lot Ted. Completely agree with you that the sequential marketing funnel has become much more dynamic. 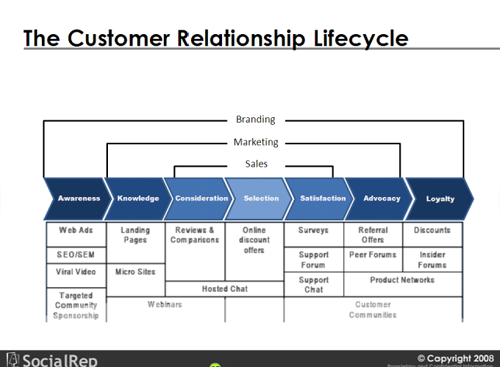 I think the customer still somehow goes through a similar thinking process (consciously or otherwise) in their mind, but the marketing tools for each phase (listed in the diagram) are quite different and complex. The problem I see is the lack of value offered by many marketing efforts that are purely focused on an outbound blast with very little 'listen and engage'. The Social CRM tools should help, but it also requires a bit of a different thinking from the traditional 'controlling the brand experience' approach.